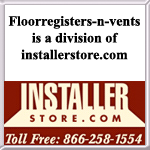 Find a decorative or simple metal wall registers. 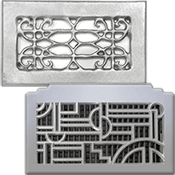 A full size range of metal vents with affordable pricing. 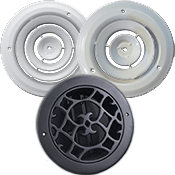 Please note: you want to order your vent by the size of the hole opening you are covering and not by the existing cover (faceplate) of the vent you currently have.